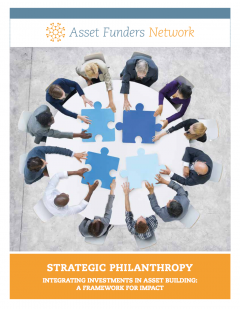 Despite philanthropy’s commitments to improve family economic security, stability, and growth, a lack of cross-sector collaboration limits impact. 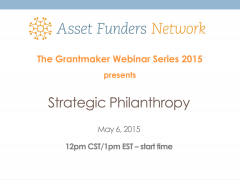 This webinar, brief, and presentation collectively examine how to develop strategic approaches to philanthropy through the strategic framework that brings together disparate policies, investment structures, practices, and stakeholders to leverage resources and impacts. Speakers in the webinar include Janet Boguslaw, from the Institute on Assets and Social Policy at Brandeis University and Daria Sheehan from the Citi Foundation, as well as Rafael O. Morales, Silicon Valley Community Foundation. The brief and webinar were sponsored by the Kresge Foundation and the Citi Foundation.